S/Sgt. Ollie Reece Kilpatrick, son of Mr. and Mrs. O. M. Kilpatrick, husband of Dovie Fry, Bonham. 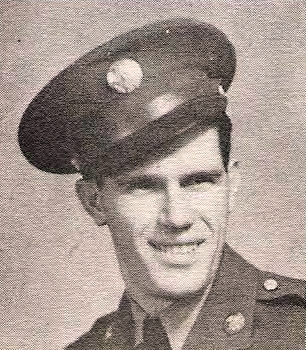 Entered Army, 1941, trained at Camp Warren, Portland AB. Served in Pacific. Awarded Combat Badge, 1 Battle Star, Pre-Pearl Harbor Ribbon. Discharged in 1945.